More than 5000 govt recruiting bodies are closing down their recruitment process this Christmas. With 04 days more left for applying, aspirants should not miss the chance. Those who have already applied for many posts, should give a last minute glance so that no important job recruitment is missed unapplied for. Jagran Josh wishes all its readers a Merry Christmas, in advance! 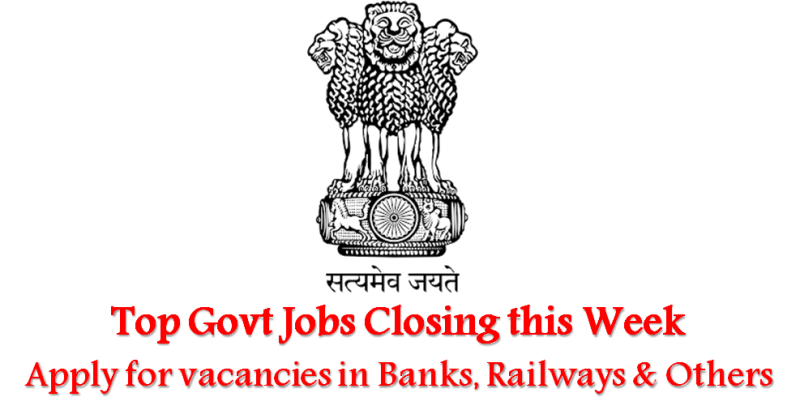 Railway jobs have always been the favorite among govt job aspirants. Likewise jobs in PSUs and banks have also witnessed huge response from job seeking candidates. apart from this other recruitment bodies which form a part of the massive job searching platform include army jobs, navy jobs, professor and lecturer jobs, jobs related to various technical posts, research project jobs (JRF, SRF, PA, RA, etc. ), Group ‘C’ and ‘D’ jobs and jobs under deputation. Candidates are suggested not to be in haste while applying for the jobs. In order to apply candidates must go through the official notification properly. All details regarding the eligibility criteria, age limit and experience must be noted carefully. It is important to note that applications must reach the concerned authority before the last date of submission as given by the recruiting organisation.